The Federal Motor Carrier Safety Administration maintains statistics for truck accidents. The most recent Motor Carrier Safety Progress Report can be reviewed here. The Tennessee Department of Safety also collects and publishes crash statistics. Tennessee's statistics can be found here. According to the Federal Motor Carrier Safety Administration, the cost of commercial motor vehicle accidents is 43 billion dollars, and this does not include property damage only accidents. This figure represents only the cost associated with injury and fatal commercial motor vehicle accidents. 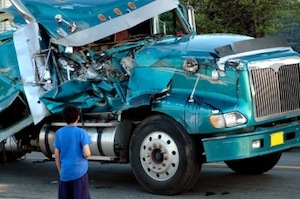 Our team of trucking attorneys fight for truck accident victims. We understand the physical, emotional and financial burdens they face. If you have been injured by a commercial motor vehicle (truck, bus, semi-truck, tractor-trailer), then contact us today and let us help you get the compensation you and your family deserve. Call us anytime at 615-742-4880 or toll-free at 866.812.8787 or contact us online.